I will still be playing my Socceroos game as well but this is more serious and long term. This opening thread will contain all information and will be updated on a regular basis. I will be posting basically just my seasons transfers and how i go in the different comp's. 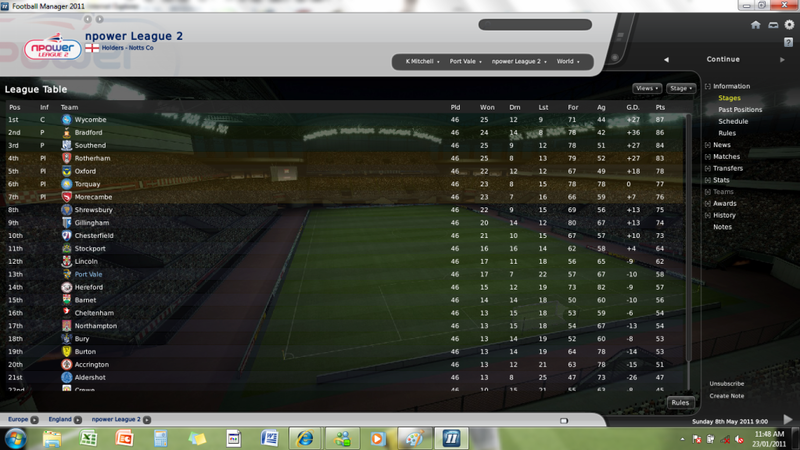 Also i will post a screenie of the ladder at the half way point of the season and any European table's etc. 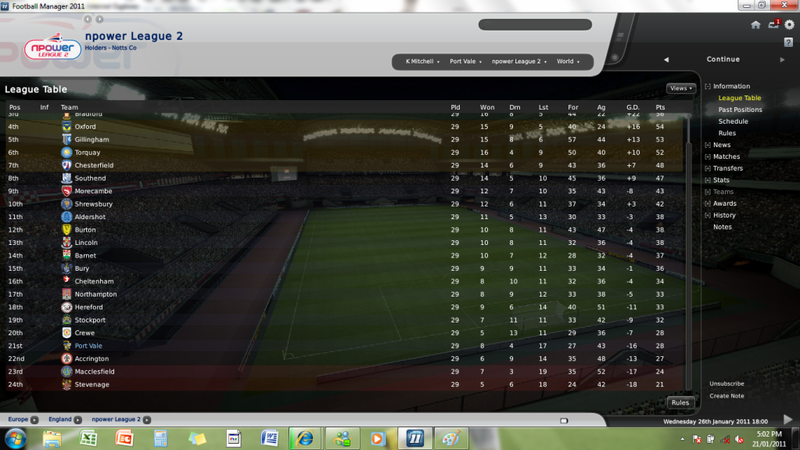 Gonna be a bit of a fight to avoid relegation lets hope i can pull it off. I'm sure you can do it Good luck! Excellent update there mate, I'm hoping you can save the mighty Vale!! Good finish to the season there mate, good work! Great work LUATW. 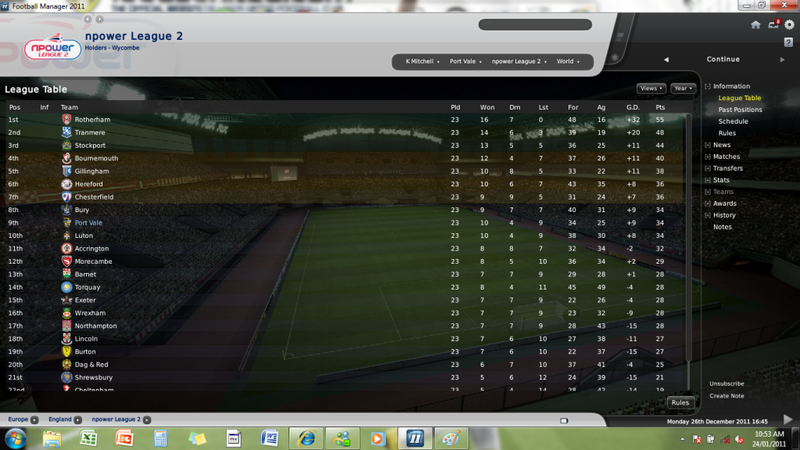 Nice finish after being so near the relegation places at the start. Keep it up mate! thanx mate. Hopefully i'll be able to strengthen the squad some more as well for this upcoming season. ill try my best thanx guys. Good signings there mate, really good work! Good luck for your 2nd season in charge ! 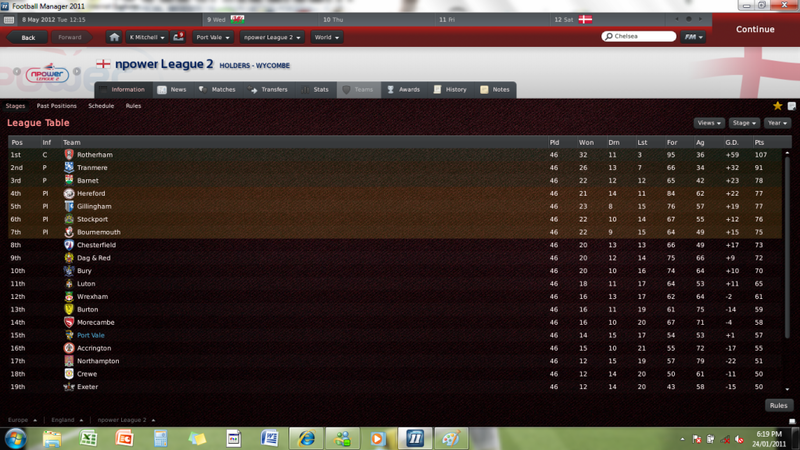 So far so good LUATW, keep it up and I'm sure you'll get a higher position than last season. Good luck mate. Great finish for your first season pal, excellent work. Unlucky mate, such a shame to see you drop down the table like that. You will definitely get a new job, so it's a-okay! i have enend this now due to techincal reason bt i will be doing a premier league team or a asian tour.